Tracking problems in reading can cause significant learning issues with people of any age. My daughter had a convergence insufficiency, and her inability to effectively track the print on a page made reading an onerous chore for her. But eye movements aren’t always the issue when it comes to tracking problems in reading. 1. Focusing problems. The internal muscles of your eye help control your ability to focus, or see things clearly. Focusing problems cause intermittent blurry vision and/or difficulty sustaining attention either of which make it more difficult for a person to keep their place on the page. This is also one of the culprits for accurately copying notes from the board or slides. 2. Eye teaming problems. There are six external muscles around each eye which control eye movements. These eye muscles must work in a coordinated fashion for your eyes to work together and follow a line of text across the page. If you’re having difficulty with eye teaming, you may experience intermittent double vision or blurry vision. Sometimes the words look like they are moving on the page. Sometimes the person is able to keep things single, but with a great deal of effort. 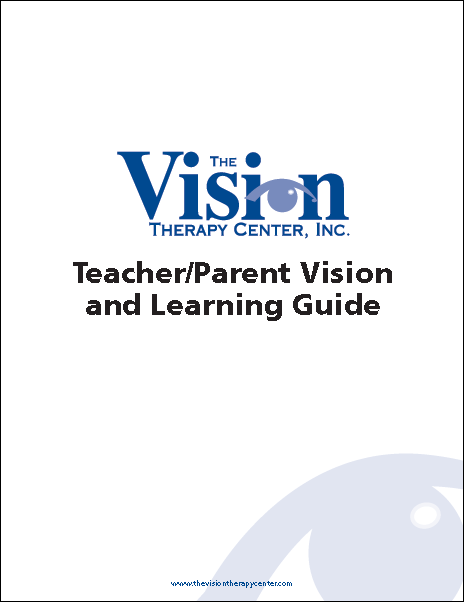 Many people with eye teaming problems tend to skip lines or misread sections. Note that people with constant strabismus (one eye always turned and the most obvious type of eye teaming problem) may not have any difficulty keeping their place as they are using only one eye to read. 3. Functional peripheral vision. A peripheral vision problem in this case is not the same as a visual field loss, where parts of the eye or brain are damaged. It’s more functional – can a person see both ends of the line when they’re reading at the same time? The ability to do so is critical for accurate eye movements from the end of one line to the beginning of the next. Some people have functional peripheral visual fields that are so small that they cannot process a whole word at once or a few words at a time. This makes it extremely difficult to move accurately from word to word or group of words to group of words across the line for fluent reading. Any or all of these parts of the visual system may be performing poorly and cause tracking problems. Adding complexity to the issue is the fact that they are all so inter-dependent, and an issue in one area could affect another. The key is to try and pinpoint the issue(s) through in-depth testing, the kind accomplished through a Functional Vision Test.